Junho, a member of K-pop boy band 2PM, will release his second compilation album on his birthday next week, his management agency JYP Entertainment said Monday. 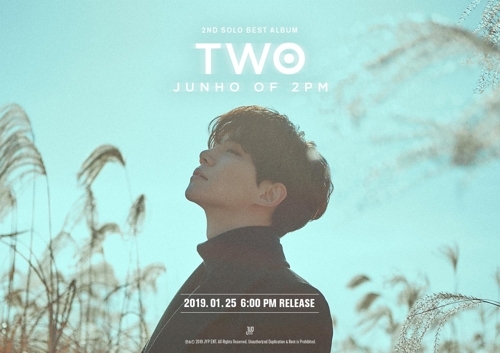 The new album, “TWO,” set for release Jan. 25, is Junho’s second compilation album since his first titled “ONE” came out in September 2015. The upcoming release date coincides with his birthday, according to JYP. Junho uploaded a teaser image of “TWO” on the official 2PM SNS accounts, which shows him with his eyes closed against the backdrop of a tranquil field of reeds. This year, Junho will continue to pursue his dual career as a singer and actor, according to JYP. He has recently been cast for a film featuring the story of male geishas and will appear in the tvN drama series “Confession” to be aired in March.